The number ones of 1979 look from one angle like a beauty parade – a line-up of ambitious talents sniffing a chance at genuine, lasting superstardom. Whether punk rock had actually cleared any decks, or whether disco had changed the market, or whether simply the enormous surges in singles sales led smart operators to look again at the medium’s potential for making names, there’s a feeling in the air of a brass ring up for grabs – for the first time maybe since Bowie and Elton’s early-decade breakthroughs. originate!” Translation: Push off grandad! Amanda Hamilton just asked of Stephen Gately on live sunday morning telly. Excellent stuff there. “Here in my car I feel safest of all” – this is what marketers, bless us, refer to as a ‘consumer insight’ – one of the unspoken reasons people buy what they buy, do what they do, crystallised in a one-liner that seems obvious as soon as you’ve heard it. 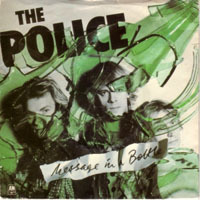 It’s no wonder this track enjoyed such a prosperous second life via advertising: the message is barely even subliminal. 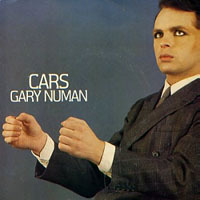 Okay, Numan is going out of his way to sound chilly about the prospect of Cartopia, but the gleeful clunk-click of the synths gives him away: compared to the messy, shabby confusion “Are ‘Friends’ Electric” left him in, “Cars” is pure liberation. I’ve talked about In The Night Garden – one of the BBC’s current flagship childrens’ programmes – enough in the pub to justify a post focusing on it and its strange cosmology. The show is produced by Ragdoll, who are staggeringly wealthy thanks to the international success of Teletubbies. As FT coding guru Alan has pointed out, ITNG combines the ‘tubbies ethos – lots of nonsense talk, buckets of repetition, basic characters in a cosily unreal environment – with a heavy dose of old school, Oliver Postgate style Kids’ TV. The show’s “Pontipines”, for instance, are tiny clothes peg people who emerge from their tiny house to scuttle and squeak in a way that’s directly reminiscent of Bagpuss‘ mechanical mice. 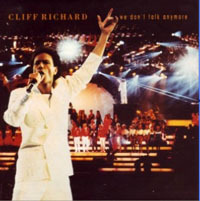 The strictures of the Popular project give Cliff’s career a sort of cometary aspect: he shows up around the end of a decade just to check on how British pop is doing. But of course he rarely stopped having hits – look at the Everyhit stats and his late 70s comeback doesn’t seem like a revival so much as a realignment, helping an established hitmaker get his bearings back at a time of unusual turbulence in the pop market. So, you’ve got a theatrical #1 record about teen alienation under your belt – how do you follow that? Why, more histrionics, greater alienation, and – the trump card – this time it’s all true! 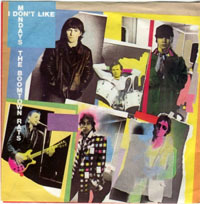 This wouldn’t be the last time Bob Geldof’s gut reaction to a news story made a mark on pop, but there’s no good cause associated with “I Don’t Like Mondays” and no good comes of it. “I don’t think I mean anything to you.”: it’s a sulky break-up song in android drag. But what drag! There’s a muscley, unpleasantly compelling crunch to the synthesisers on “Are ‘Friends’ Electric?” – the song is built on awkward, thrilling mechanical lurches rather than Kraftwerkian glide or Moroderish thrust. It’s futuristic, but this future setting is audibly shabby, an exhausting and dispiriting time to live: you suspect it rains a lot there. 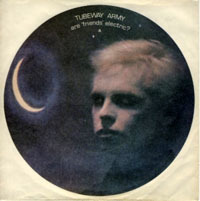 Numan himself shifts from distanced scene-setter to hurt suburban boy – the everyday whine of his voice cutting through the future he’s trying to establish, its baffled pique reminding you what these robot worlds get built to cover up.